So fellow travelers, sitting by the pond enjoying my morning coffee, I hear a little wren has discovered the house we put up last week. New wren house in morning sunlight. The tenant stayed hidden in the shrubs while singing. 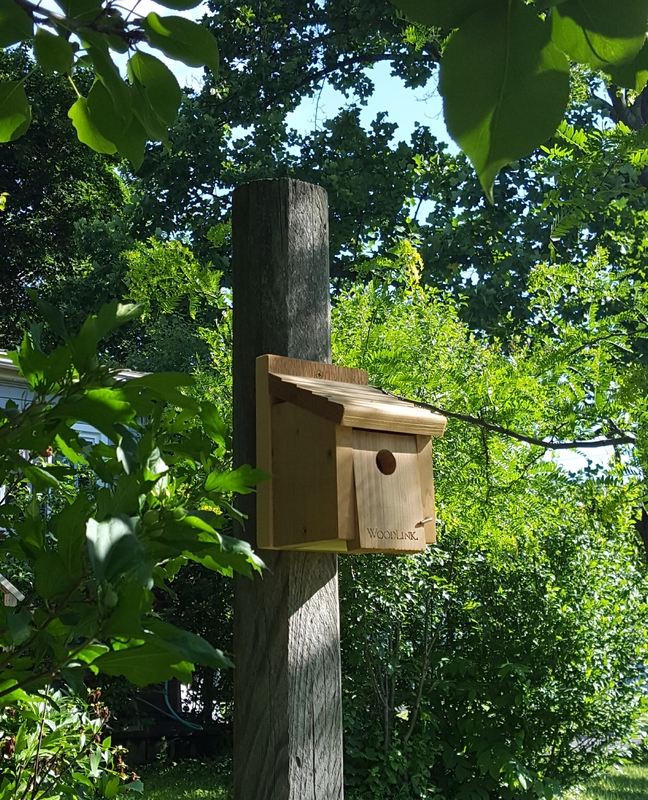 It may seem late in the season for adding a birdhouse yet I must take advantage of my husband’s assistance when he’s available. Good weather usually finds him out on a golf course or in the garage restoring a classic car. For him the yard is something to mow and weed whack. Still, I am blessed he recognizes it as my sanctuary and I’m honestly grateful for his efforts when I need them. Our pond for example, where I spend so many moments gleaning peace, was a birthday gift built one hot summer, eight years ago.True it came at the urging of Favorite Youngest Daughter, but it would not have been accomplished without his hard work. Listening to our newest yard tenant’s joyful bursts of song I am reminded of the importance of simple joy. Finding joy in each day, living the moments with simple gratitude. Lessons to carry with me forward on the journey. Thank you for the haiku. I love when posts create a ripple of creativity .